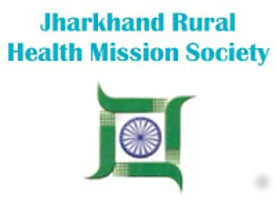 JRHMS Jobs Recruitment Notification 2019.Jharkhand Rural Health Mission Society (JRHMS) inviting applications for the positions of Chief Minister Rural Health Advisor.Interested and Eligible candidates can apply for the positions. Total number of vacancies is to be filled in JRHMS is 40 posts. Name of the Post: Chief Minister Health Advisors. Candidates have to complete Graduate/ Post Graduate and excellent command over Hindi/English language. Candidates should have 35 years of age for the post of Chief Minister Health Advisor. Candidates will be recruited on the basis of written test/ interview. Interested candidates may fill the forms through offline mode by JRHMS Recruitment 2019 Notification for the positions of Chief Minister Rural Health Advisor from 18th January 2019 to 31st January 2019. Candidates are advised to submit the forms to the given address below before the closure date i.e., 31st January 2019.
http://jrhms.jharkhand.gov.in/ is the link to download, apply and submit the application form for candidates is directly. “The Mission Director” Jharkhand Rural Health Mission Society, GVI Campus, Namkum, Ranchi – 834010 Jharkhand.